INTERNATIONAL REPORT—Small Luxury Hotels of the World (SLH) has added six new hotels to its portfolio. 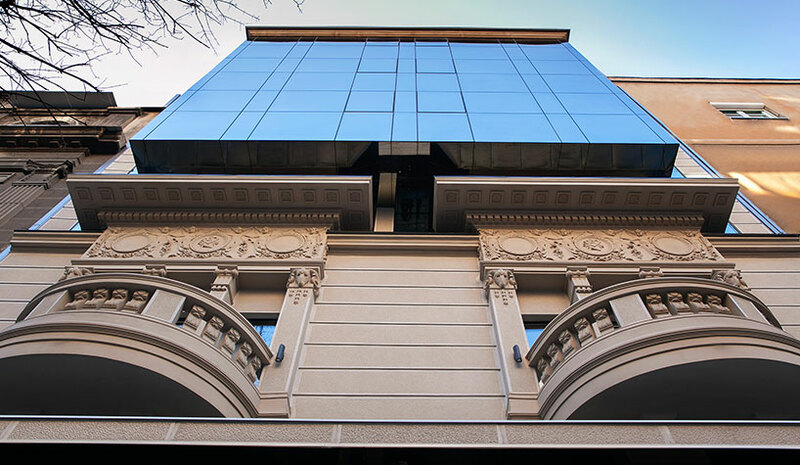 Saint Ten Hotel is located in a historic Belgrade building, built in 1929 by architect Stojan Vejkovic, and it is where the Minister of Justice of Serbia once called home. Set in a 19th-century building renovated by architecture firm Studio Magnaghi, suites at Babuino 181 evoke the feel of urban apartments, complete with Frette linens and bathrobes, Sony Dream Machine iPod speaker dock and a Nespresso machine. Set against a mountain backdrop in a former fishing village that is now a yachting haven, D-Resort Göcek is a contemporary retreat positioned between the D-Marin marina and the centre of the town of Göcek. HGU New York’s wellness offerings go beyond the usual yoga mats and detox menus. The wellness-focused hotel provides a pillow menu and concierge, liquid lunches, complimentary Flow alkaline spring water, in-room meditation sessions, REVIV IV treatments, Vitality NYC cryotherapy, and complimentary access to Solace Gym. Built on a 58-acre private rainforest reserve above the town of Ojochal, the adults-only resort features 12 private villas with modern Indonesian tropical architecture, luxury spa pampering, and a 2,152-sq.-ft. infinity pool. The former 19th-century hacienda is proximate to Tlalpan Forest National Park, one of the city’s largest green spaces. With ornate iron work, white-framed windows and peach walls, Puertas del Bosque’s exterior preserves the character of the original hacienda while its suites come with its own kitchen featuring original artwork by Mexican artists.